“If you think about our history, when I started the company the vision was to provide commercial support to Drupal — that was phase one,” Dries Buytaert, the creator of the open source Drupal content management system (CMS) and the co-founder of Acquia, told Computerworld on the sidelines of the company’s recent Engage conference in Sydney. “I mean we’re still doing that today — when we say next phase, it’s not like we’re throwing things out; we’re adding things,” added Buytaert, who is Acquia’s chief technology officer. “Phase one was commercial support for Drupal. At the time that was the traditional open source business model; that’s what Red Hat did, MySQL, and others. Then relatively quickly we spearheaded a new business model for open source, which was to leverage the cloud. Phase two saw the launch of Acquia Cloud and services such as Site Factory, which allows enterprises to manage large collections of Drupal-based websites. The next phase of Acquia, Buytaert said, is “moving beyond Drupal”. “But what organisations do today is very different to what they did eight years ago,” Buytaert said. “Eight years ago, companies had a website and that was it. “Today, it’s no longer sufficient to just have a website,” the Acquia CTO said. “Our vision is to be the universal platform that people can use to build these ambitious digital experiences versus just [building] a website,” Buytaert said. Acquia is in the process of expanding its cloud platform to reflect this. Site Factory will no longer just manage Drupal-based websites; it will also allow enterprises to host and manage thousands of Node.js applications and instances of the Magento ecommerce platform on Acquia Cloud. “Our customers are actually asking us to be prescriptive,” he added. “Our goal is to prescribe and say, ‘Here’s a world-class digital experience platform and it includes a content management repository, it includes a commerce backend, it includes a market innovation tool’,” Buytaert said. “It’s not about the hosting; it’s about providing a complete platform that allows you to manage the entirety of the customer experience,” he said. 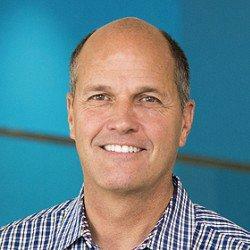 That means that Acquia will continue to add to its cloud ecosystem, but avoid an open-slather approach, Buytaert said. Acquia is building out a new integration layer for its cloud to ensure customers can access “best of breed” applications delivered by other companies, Stone said. “We can’t build all this stuff, nor should we,” he said. An API layer currently dubbed ‘Connect API’ — the name is provisional and likely to change by the time it is released — will provide a mechanism for ISVs, digital agencies and Acquia customers to more easily integrate external services with its cloud offerings. The plan is to roll it out in phases. It will facilitate connections to CRM applications such as Salesforce and ecommerce engines such as Hybris, as well as third-party marketing automation, video, DMP and ad delivery tools, and allow enterprises to leverage bidirectional data flows when building out their digital offerings on Acquia Cloud. “The first thing to do is to make sure all of the APIs are available for all products — that’s still underway,” Stone said. Acquia still needs to add a number of APIs to its personalisation offering, Lift, and a number of its other products, he said. “The intention right now is for a first set of third party ISVs to start using it in Q4,” Stone said. 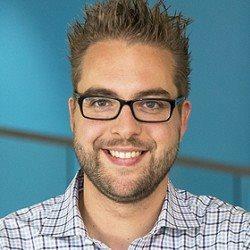 Acquia is also preparing to roll out a number of new services of its own. In the future, every release from the company will fall in one of two categories, Stone told Engage: ‘Digital factories’ and ‘customer journeys’. The company will release a toolkit — Acquia Journey — to help enterprises map customer journeys. On the digital factories front, it is preparing to add support for continuous delivery from within Acquia Cloud as well as event-driven scaling, Stone said. Acquia is also preparing for its first foray into machine learning: Its ‘Similarity Engine will allow customers to automatically categorise content. Stone said he expects it to be available by the end of the year.